When the only vices of a place involve food and wine, booking a flight is a no-brainer according to my travel rules. Throw in sandy beaches, cultural riches, mild climate, a lost-in-time pace of life, and an inexpensive cost of living, and you won me over, Portugal. On a recent visit to the northern wine country, I spent four delicious days table-hopping from hearty lunches, rustic meals featuring unpretentious fare and artisanal feasts prepared by innovative young chefs who bring a creative flare to traditional specialties. 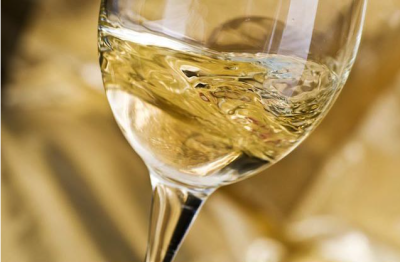 Each meal was paired with the region’s fresh, light, aromatic wines known collectively as Vinho Verdes. 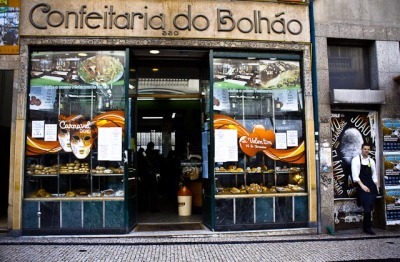 In Porto, the Confeitaria do Bolháo (Rua Formosa 339) proves it doesn’t have to be expensive to be good. I’d wandered into the café for an espresso and to sit out an afternoon rain shower. But I quickly upgraded my order to the meal of choice among the elderly patrons in wool caps and sturdy shoes who packed the place. “Yes, it’s fantastic”, said the waiter, when I asked to have what the couple at the table beside me were so obviously enjoying – a plentiful plate of crispy sardines, crusty bread, a delicious stew of red beans and rice and a carafe of robust red wine. Total bill: 7-euros. Nice. A perfect example of the region’s rustic fare is Restaurante Páteo das Figueiras (Rua do Além 257), a homey establishment near Braga which serves exquisite local cuisine family-style in a simple and cozy room. 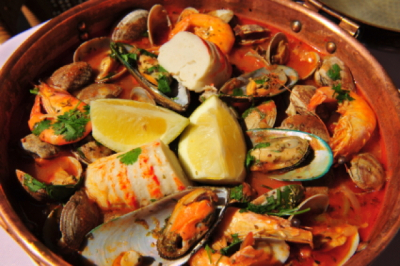 The caldierada, a stew consisting of a variety of fish and shellfish with potatoes, tomato and onion, scooped up with a garlicky bread, was delicious. 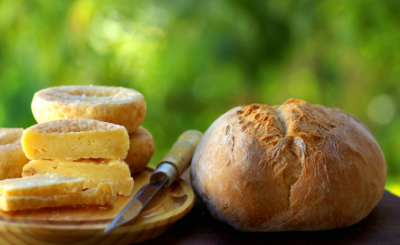 Aromatic Portuguese cheeses, especially those made from goat or sheep milk, are among the country’s top foodie draws. For delicious homemade cheeses and fresh, floral, mineral and beautifully balanced wines, drop by the Quinta das Arcas, (444-392 Sobrado) winery. Don’t miss the Mozinho Roman and Pre-Roman ruins that border their Villar Estate. Eyeing the multitude of cutlery and wine glasses adorning the massive linen-covered table at Cozinha do Convento, an elegant restaurant in an ancient monastery leaning over the Minho river, I figured we were in for a treat. For the next three and a half hours, I didn’t move from my seat, take notes, hail a waiter or want for anything. And after the last espresso was served and the final brandy savored, I realized that I’d been shown what Portuguese hospitality boils down to: good food, fine wine and the sheer joy of sharing a meal. Home for the week was the scrumptious Tiara Park Atlantic Porto hotel, an elegant landmark of the Avenida Bonavista area in Porto (yes, just like that delicious drink, port wine, which originated there). Located just 15km - less than an hour - away from the Francisco Sá Carneiro Airport. Porto is a UNESCO World Heritage Site a treasure trove of museums and cultural attractions, historic quarters, and contemporary architecture. Tiara Park Atlantic Porto: Tel: (+351) 226 072 500; www.tiara-hotels.com Enjoy! Travel journalist Ellen Barone did what many of us only dream of doing: at the age of 35, she traded a successful academic career for the wild blue yonder and set out to explore the world and herself. In the decade since that intrepid decision, she has turned passion into profession, journeying to more than 60 countries in search of evocative images and life-enriching adventures. For the latest travel news, tips and reviews visit EllenBarone.com.